I think I know the secret that will transform every relationship that matters to you and I share it with you in this short video! Subscribe to watch it now! Also? Don’t forget to check out Part 2 of this post, where I share all my favorite clothes! Organizing is not my love language, as my mother and sister can gladly attest. But I’ve learned a few things over the years of watching my sainted mother clean out my closet. She’s a pro. And I can at least pay attention. It’s almost as ironic as my post on making peace with your papers. It’s been almost a month since I did this project and I’m happy to report, it’s still looking mighty fine. It’s been a year and half since we moved in from our fresh, new rebuild after the house fire. In other words, long enough for my closet to be a mess. Last month, when we were all sick and thought we were gonna die, I stumbled into the living room in my bronchitis, viral, fever-y stupor and said, “Girls, turn on the t.v. and find a documentary.” They nearly fainted and scurried to find the 47 remotes to try to figure out how to turn the t.v. on. (As a side note, I NEVER turn the t.v. on at our house, partly because our home is our school and secondly, because there are 47 remotes and turning our tv on reminds me of a pilot trying to initiate take-off.) After that documentary, I told them to turn on another one. They looked at each other, looked at me, shrugged their shoulders and watched three more. After a few hours of this, my little one said she was bored and wanted to organize something. I had just enough medication in me to think this might be a good idea. So, off to land of clothes we went. Here are some tips for how we did it. Even after a short time living here, there are things I could purge. (Mostly clothing people gave me after the fire that was ill-fitting but even a few things I bought myself that I never wear.) I have a much smaller closet than I had in our old house, so that forces me to be choosier about what I buy and keep. And don’t we all wear the same clothes over and over again? Try to figure out from those things you love what it is you love about them. Is it the way they fit? The color? And be brutally honest about the things you haven’t worn and are likely not gonna wear. Donate it to someone who will or decide if you can repurpose it into something you will wear and use. I got rid of 3 bags of clothing and could probably have purged a little more ruthlessly. I’m getting SO MUCH better at being very picky about what I buy. I used to buy things on sale, just because they were on sale. I buy WAY fewer clothes these days but probably spend more per item than I did before. There are certain styles that don’t look good on me and no matter how cheap they are, it’s not worth it if they sit in my closet and take up valuable real estate. So be picky. Be fewer things but invest in some pieces that are a good fit for you. And come back this week for part 2, where I list a few of my favorite pieces. And wear a mask. It’s a dusty proposition. BUT, I’m so glad I took the time to take everything out and really clean the shelves and floors. This is obviously time consuming but if you’re like me and only doing this less than once per year, you owe to yourself to do it right. And trust me, I had a lot of shelving to dust. I just mixed a little vinegar with water and used a microfiber cloth to really clean all the surfaces. 4. Invest in good hangers. Even before the house fire, I had made the switch to good hangers. Just do it slowly over time and eventually, you can replace all your white plastic hangers with felt or wooden ones. I use wooden skirt hangers but for everything else, I use the felt/velvet covered ones. Your clothes don’t slip off and your clothes are less prone to wrinkle. I bought mine at T.J. Maxx for pretty cheap but I saw that Walmart has them, too. I love the rainbow closet. It’s so PRETTY!! And it helps you see whether or not you have a predilection for all things tan and black. Apparently, I like white shirts and blue jeans. I like to say ‘blue jeans’ because that reminds me of Leann Morgan’s trip to ‘The Ga-up’ to buy some low risin’ blue jeans. But, I digress. More on clothing in part two of this dazzling series. Or have her sign an affidavit that she’ll stay until the last shirt is hung. Because she’ll get a better offer. And abandon you half way through to make duct tape crafts or read or some other such nonsense. You’ll find yourself sitting in a pile of tissues and tylenol and chloraseptic, drowning in a room full of trinkets and stray belts that you don’t know what to do with, cursing the very fact that you wear clothes at all. You know that *point* you get to in every project where you just want to be done with it already? That’s when you have dig down deep and find the eye of the tiger. Put on some good music. Watch an episode of hoarders. Do whatever it takes. But finish strong and don’t forget to display some cute things, like purses and cowboy boots, to make you space all the more inviting and fun. Then, walk in there every 5 minutes for the next three hours to make sure everything still looks dandy. Also, if you’re building a house soon or want to add some architectural interest to your closets, try adding crown molding to the top and to the front of shelves. It’s a fairly inexpensive way to make your closet have a boutique feel. I also chose a very inexpensive crystal light fixture to add some glam! 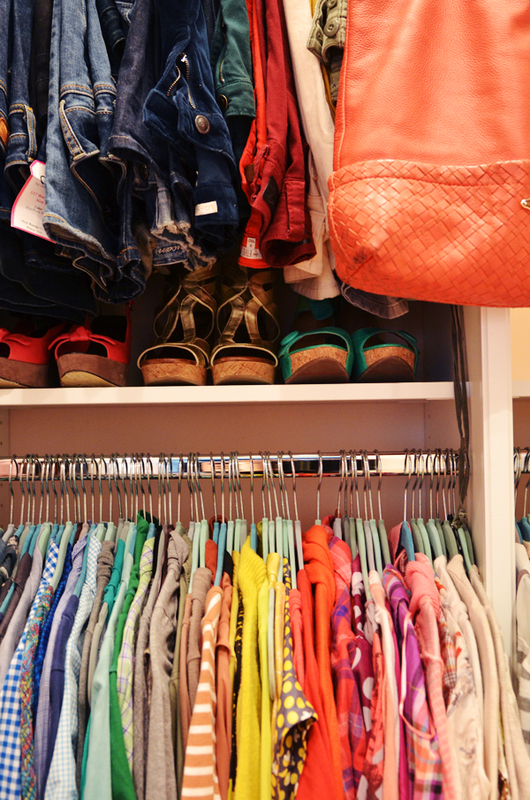 Now, all you organizing pros, tell us your favorite tips. 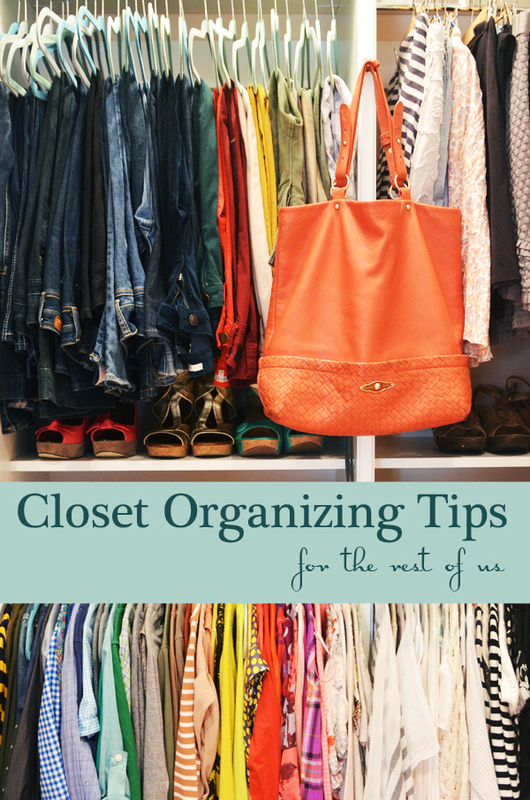 Or at least tell how often you clean out your closet and if you keep it tidy. Inquiring minds want to know. Or at least this one does. Oh, now I needed this! Right now I have a pile of clothes on the bench behind me … a stack of clothes to be hung up sitting on my ironing board that never gets used. I’m beginning to despise my closet!! I recently purged three bags full but could have made it 10 bags and just left my jeans, white tank tops and white shirts, and a few cardigans since that is all I ever seem to wear! I love your rainbow closet look too! I can scratch just one thing off this list: all wooden hangers for us! IKEA sells them in packs pretty cheap. I’ve learned to keep ONE wire hanger around however, like for when you lock your keys in the car or something. OR you can just be sure to lock your baby in the hot car too so you can act like its an emergency and call the handsome firemen over to break into your car too… thats what I do. haha. Re: Keeping boots upright. I saw (and Pinned…of course) a tip about cutting pool noodles to the proper length. 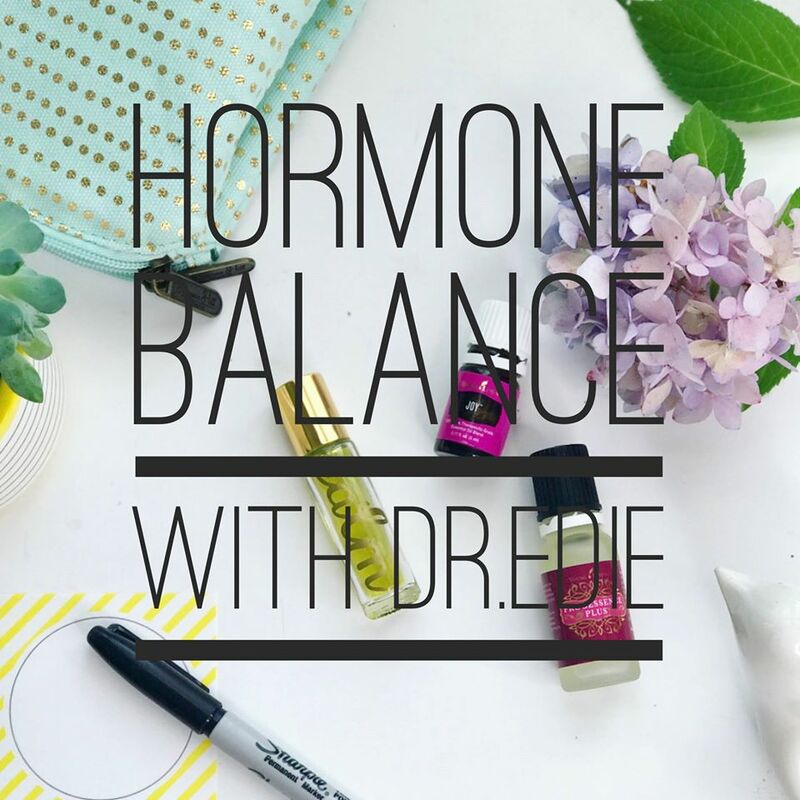 Works like a charm and is very inexpensive! A rolled up magazine works just fine, too. Plus, CHEAP! I think that is the perfect use for wine bottles! I reorganized my closet about a year ago and did the rainbow thing too, and it is the BEST! I always thought it was just a “fad” thing, as I had always organized my closet with long-sleeves together, short-sleeves, etc, thinking that made more sense. But it really seems more organized now and much easier to find stuff. I love it! It also makes it look so pretty and much nice to be in there now. Probably need to purge again, but after my big purge and reorganization last year, it will be much easier. One project I need to do is put up a couple of towel racks for all my scarves. I seem to have collected quite a few and they are now out of control! Would love to do the crown molding too. I have all my scarves hanging through those plastic rings that the stores display them on. I just ask to keep them (or you can buy some) and then all the rings can hang on a giant S hook from the closet rod. I already had one, but I’ve seen them at Bed, Bath and Beyond. Or the giant O rings on a hook, that are supposed to be for belts. My storage problem is purses and bags………..they are all in a laundry basket on my shelf or hung from a hanger at present, but not totally accessible for how often I’d like to change. ideas????????? I have all my scarfs hung on the multi tiered pants hangers. Fold them in half and run the two ends through the loops, around the hanger rod. I organize the by color. Works great. If you have any wall space in your closet, you can use one of those stretch wooden clothes rack to hang your purses. Just put it up at an angle. I have a spare bedroom I use for storage so I put mine on the bedroom wall. I completely agree about good hangers. The felt covered ones take up much less space and you never have to rehang that one tank top that keeps sliding off the hanger (don’t you hate that?). My tip is to buy 2 sets of colors when you buy felt hangers. Things that I don’t wear often are hung on the “probation” colored hangers and at the end of the year they are easy to identify and purge. I am also strict about the “one thing in; one thing out” rule. When I pick up something new, I try to find at least one thing to donate. This also helps me only buy new things I love because it has to be better than the thing that has to go to make space. I also do the rainbow closet system which allows me to pretend my closet is a display space in Anthropologie. Funny how this pops up after making a “pact” with my hubby on the drive home from Easter, that I would get our room back in order. Love all the tips! Just the inspiration I need to get started, after I YouTube a lil more Leanne Morgan. HILARIOUS! I would like to say I am a natural organizer but the truth is I am not and I know it. Right now my closet is deplorable and I really need to organize it. This is such pretty inspiration. My closet space is tiny and I need to spend some quality time on Pinterest looking for affordable solutions to this dilemma. I never turn the tv on here either, unless it’s for DIY Network or HGTV. Our closet is soooo bad. Just clothes and shoes and belts and empty shoe boxes…and dust. I would like to describe how seriously bad it is, but unless you can see it, you cannot understand it. Crazy. When we moved into our house six years ago, I just went to Lowe’s and purchased one of those white wire closet organizers and it does not suit our needs. I keep wanting to purchase something more substantial – alot like what you have. Can you please tell us where you got your closet shelves? Or were they custom made when you built the house? I may have a before picture on my phone—if I can find it, I’ll post it. They were very reasonable, though, for what we got. I’m so happy with the way mine turned out, with the trim and crown moulding. And trust me, I’ve let many a closet get to states of disorganization you cannot comprehend. I work in the apparel industry, love clothes and acquire a LOT of them. I also tend to be a little trendy, so things don’t stick around too long. I keep a bag for the goodwill in my closet so I can drop things in there when I come across it. I also make myself purge after every season. (I’ll be going through my winter clothes this weekend.) If I haven’t worn it the past season, it doesn’t stick around. I try to be relentless about it. Bag for Goodwill in the closet? Yes, I think I will!! I like trendy clothes too but I try not to buy too many and when I do, I buy them cheap. That said, a few of my favorite shirts are trendy as can be. And, I know I need to be more relentless!! I use the same rainbow idea on my bookshelves, as well. It always makes me happy when I see them. I’ve always wanted to do that, Glenda, but have never tried it. Jenny from Little Green Notebook did something similar and it looks so fantastic!! I have to switch our clothes out for the seasons because we don’t have the space. At the beginning of each season I hang the hangers backwards on the rack. Anything not turned around by the end of the season goes to Goodwill. It’s an easy way to know what you really aren’t wearing. Y’all are smart. I’m taking notes! 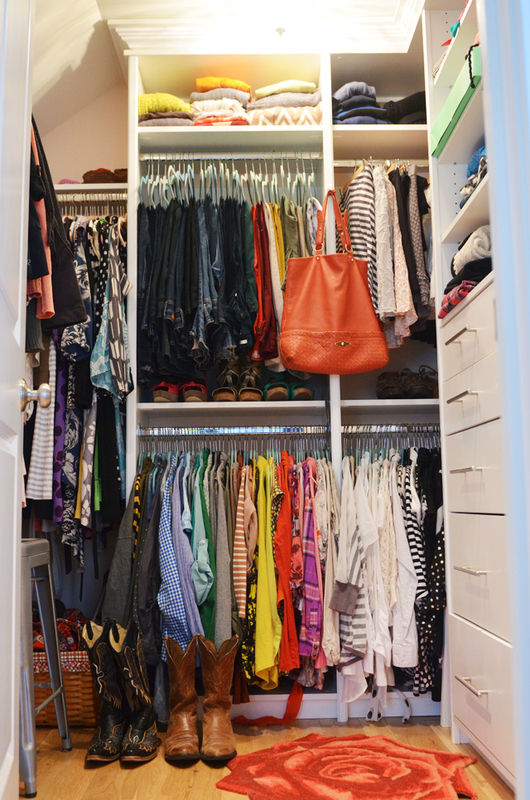 Oh my, your closet is beautiful! 🙂 I share a closet that size with my husband and he takes up more room than I do. I also hang things by the rainbow trick(it IS so pretty!) and I made the rule for myself to get rid of anything with a stain, hole, etc…. after buying an Ebook(Tiny Twig, I think?) about how to dress. That was a great resource. And just in case your readers have this store, I just saw a huge package(20 hangers) of the felt hangers for only $9.99 at Burlington Coat Factory. That’s a great deal! OH, I need to get her ebook! I love her blog. Thanks for the hangers tip!! There are some great videos of her standup routine on her website. And she lives here in East TN, so she’s our local celebrity! Now that is a genius idea, Randi!! Watch out, friends of mine, I’ll be calling on you sometime next year! That’s coming, Ginny!!! Hang on, there will be some pics and links. I just have to get my girls to help me out a little! Your closet IS like a boutique, I love the crown moulding and crystal light fixture!! I’ll remember that for *someday*. Right now I would be happy to not hyperventilate like I’m stuck in an elevator when I go in my closet! Definitely time to clean it out. Big jewelry give-gift away coming up! Yay, Julia!! Sometimes it just takes a little kick in the pants! Love, love, love your tips, your closet and your sarcasm!!! That video made me laugh….thanks for sharing!!! You make me smile, Darci!! I’m not right in the head and I know it. LOVE this!! And it’s the inspiration I need…your pretty rainbow closet! My room is a mess thanks to a busy Easter weekend :/ Here’s hoping your inspiration lasts till tomorrow morning when I can do something about it! I used to be much more of a freak about organizing the house but much more relaxed now that we are living with a tiny tornado. However, my closet is my happy place and although it’s not laid out as inviting as yours I do make it a point to purge and re-organize it pretty often. I do have a hard time giving up clothes as I always think of a way to re-style something and then never get around to it…..shameful. But I think it reminds me of playing dress up and doing spring cleaning with my roommate in college. something therapeutic in listening to music, falling in love with old pieces and the finished organized product! makes me want to go do mine again! I found at COSTCO, 35 hangers for 8.99, best dealio yet! Love those felt hangers, my daughter turned me on to them. Cleaning closets is my faaavorite thing to do which is probably why I started my organization business. It is so cathartic to clear that space out you feel like you’ve had New Year’s all over again. I also recommend padded hangers if you can spare the room in your closet for delicate blouses. Even the felt ones can leave corners on the shoulders depending on the fabric. Why don’t we live on the same cul-de-sac? Reading your blog is such validation. The combination of fascination and nausea makes “Hoarders” that perfect cocktail to assure myself that my own clutter is just not that bad…. You should watch “The Queen of Versailles” next. It’s a documentary, practically educational! Keep it up! I adore you. I love this post and it is so timely. I *do* love to organize my closet and do so seasonly. My issue is that my husband and I share a closet and his gift is *piling*. So while my part of the closet is similar to your beautiful closet, my husband’s part of the closet is basically a pile of clothes and shoes. Can you advise me on how to deal with this? 🙂 He’s forbidden me from cleaning it myself becasue I’m prone to throwing out everything! 🙂 Purging makes me happy…I’m weird like that. That video was hilarious! My closet is in desperate need of an overhaul as well as a few staple additions. You’re closet is beautiful!!! I have four kids (too) and since I feel like I’m constantly rotating out their clothes (ages 9 to 1) I don’t have much time to do my own. But I like to do it twice a year. Once with Summer and once in Winter. Color coordinating is a must so you’re pretty pictures where right up my alley. My Mister and I each have our own closets but their smallish and so we utilize a double bar/rack system. But I LOVE your drawers!!! 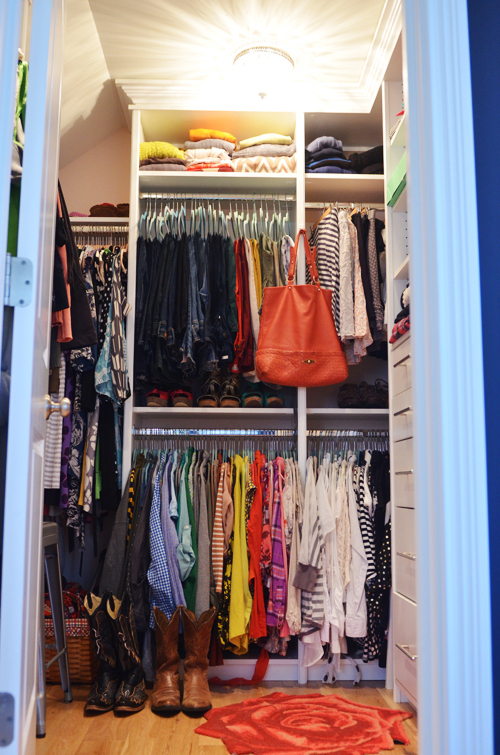 I dream of having a closet that will remove all need for a full size dresser! Great job on your closet!! Ahhh. A pretty closet just makes me HAPPY. I installed an inexpensive chandelier in mine just to up the ante a little. Now I need to get in there and expose the floor and “rainbowtize” everything. Thanks for the inspiration, Edie! It is Sunday night, I have read this post several times . I don’t have a walk in closet…. that would be heaven…….. just the old bi-fold doors and 6 feet that’s mine. This seemed like a huge space 36 years ago when we built our house and I had been using the tiny closet in our 1950’s house. I change up my closet for cold/hot seasons and use the color code method. I don’t think I have ever removed everything before and that is what I am going to do…. kind of scary!!! wonder what I will find???? Edie, you are an inspiration in so many ways…thanks! 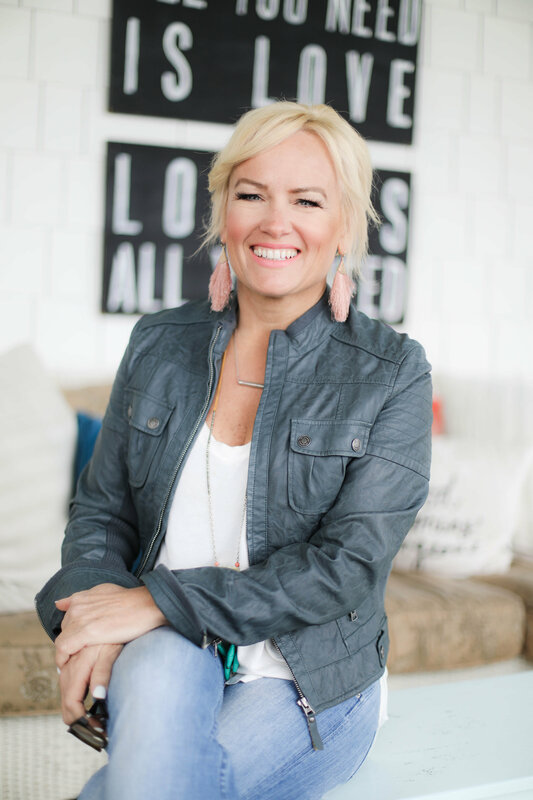 Edie – I just found your blog by doing my favorite thing: blog hopping! After seeing your closet, I have come to one major discovery: I do not have enough blue jeans. Seriously, I love your neat and tidy closet, and the rainbow thing…I do that when I energetic. If I’m lucky it will last 4 months or so. While we were building, I was giving a girlfriend a tour. We came to the room outside of my master bath and she said, “Wow, this is a good size room. What room is this?” “My closet.” I mumbled. OH, yes, I got the look! . I got the wire-rubber coated hanging system from the big box store. While it’s much, much nicer that what I had in our old farm house (which was basically nothing) now that I’ve seen this beauty, I wonder if my darling husband will be willing to put up some crown molding? Maybe a shandy? When we built our house, I said I wanted a closet big enough to keep all my clothes in. It was one of the things I wound up having to sacrifice — and I’m glad. Switching out the warm weather and cold weather clothes forces me to go through everything twice a year. I also started the old “hangers the wrong way” trick. You know what? It works! When I put the new seasonal clothes in, I put all the hangers the wrong way. When I wear something, I rehang it the right way. This is the greatest trick EVER. If I haven’t worn it during the season, it goes away. The other thing I try to purge annually is jewelry. In addition to jeans, ask yourself how many pairs of EARRINGS you have that never get worn! Ditto for other accessories like scarves and purses. I used to feel like I had to keep something because it was still in good shape. I felt like I was being wasteful if I got rid of it. Then I thought about the joy I feel when I find something great at the thrift store and remembered that someone else will experience that same joy when they find a purse of mine that I never carry. And I always remind myself that never one time in my life — EVER — have I wished I had something back that I sent to Goodwill! When i want to clean, I first watch an episode of Hoarders. I think I need a second hanging row in our closet. We don’t have that many full length items (dresses, etc.). Wow that closet kinda looks like mine. I make it a point too that if I have not worn it in a year to get rid of it either through co-signment shops or charity. Thanks for ones marvelous posting! I truly enjoyed reading it, you can be a great author. writing, have a nice afternoon! We absolutely love your blog and find many of your post’s to be exactly I’m looking for. I wouldn’t mind publishing a post or elaborating on a lot of the subjects you write related to here. Again, awesome weblog! We stumbled over here by a different website and thought I might as well check things out. I like what I see so i am just following you. Look forward to looking into your web page yet again. included your RSS feeds, so when I have time I will be back to read more, Please do keep up the superb work. you present. It’s good to come across a blog every once in a while that isn’t the same unwanted rehashed material. Hey there! I’ve been following your website for some time now and finally got the courage to go ahead and give you a shout out from Huffman Tx! Just wanted to say keep up the great job! issues with my latest site and I would like to find something more safe. enjoying your blog. I too am an aspiring blog writer but I’m still new to everything. Do you have any points for beginner blog writers? I’d definitely appreciate it. fantastic job with this. Additionally, the blog loads extremely quick for me on Opera. this blog loads a lot faster then most. Can you recommend a good internet hosting provider at a honest price? topics talked about here? I’d really like to be a part of group where I can get feedback from other experienced individuals that share the same interest. If you have any recommendations, please let me know. Kudos! Hi there! This is my 1st comment here so I just wanted to give a quick shout out and say I really enjoy reading your articles. Can you suggest any other blogs/websites/forums that go over the same subjects? Thanks a lot! Do you have a spam issue on this blog; I also am a blogger, and I was wondering your situation; many of us have created some nice practices and we are looking to swap strategies with other folks, be sure to shoot me an email if interested. I’d really like to write some material for your blog in exchange for a link back to mine. Please shoot me an e-mail if interested. Thank you! Have you ever thought about including a little bit more than just your articles? I mean, what you say is fundamental and everything. But imagine if you added some great visuals or videos to give your posts more, “pop”! Your content is excellent but with pics and clips, this website could definitely be one of the most beneficial in its field. Great blog! Howdy would you mind sharing which blog platform you’re using? The reason I ask is because your design and style seems different then most blogs and I’m looking for something completely unique. P.S Sorry for being off-topic but I had to ask! my agreement. Do you know any ways to help prevent content from being ripped off? Have you ever considered writing an ebook or guest authoring on other blogs? I have a blog centered on the same ideas you discuss and would really like to have you share some stories/information. I know my audience would enjoy your work. If you are even remotely interested, feel free to shoot me an email. loving the information. I’m book-marking and will be tweeting this to my followers! Excellent blog and brilliant style and design. Great blog! Do you have any recommendations for aspiring writers? I’m hoping to start my own website soon but I’m a little lost on everything. Would you recommend starting with a free platform like WordPress or go for a paid option? There are so many options out there that I’m completely confused .
. Any suggestions? Appreciate it! My programmer is trying to convince me to move to . platform. I have heard great things about blogengine. content into it? Any kind of help would be really appreciated! Does your blog have a contact page? I’m having trouble locating it but, I’d like to shoot you an email. I’ve got some suggestions for your blog you might be interested in hearing. Either way, great site and I look forward to seeing it grow over time. outstanding blog! I suppose for now i’ll settle for bookmarking and adding your RSS feed to my Google account. I look forward to brand new updates and will share this site with my Facebook group. Talk soon! browse your blog on my iphone during lunch break. your blog loaded on my cell phone .. I’m not even using WIFI, just 3G .. Anyways, great blog! Hello there! I know this is kinda off topic nevertheless I’d figured I’d ask. Would you be interested in exchanging links or maybe guest authoring a blog post or vice-versa? My blog covers a lot of the same topics as yours and I believe we could greatly benefit from each other. If you happen to be interested feel free to shoot me an email. I look forward to hearing from you! Superb blog by the way! you are using on your blog? Outstanding post but I was wondering if you could write a litte more on this subject? I’d be very thankful if you could elaborate a little bit further. Kudos! blog platform as yours and I’m having problems finding one? Thanks a lot! When I originally commented I clicked the “Notify me when new comments are added” checkbox and now each time a comment is added I get three emails with the same comment. Is there any way you can remove people from that service? Cheers! Hello there! This is my first visit to your blog! We are a team of volunteers and starting a new initiative in a community in the same niche. Your blog provided us useful information to work on. You have done a outstanding job! Hello there! I know this is somewhat off topic but I was wondering which blog platform are you using for this website? I’m getting tired of WordPress because I’ve had problems with hackers and I’m looking at alternatives for another platform. You definitely know what youre talking about, why waste your intelligence on just posting videos to your blog when you could be giving us something informative to read? can advise? I get so much lately it’s driving me mad so any support is very much appreciated. This design is incredible! You most certainly know how to keep a reader entertained. Between your wit and your videos, I was almost moved to start my own blog (well, almost…HaHa!) Fantastic job. I really loved what you had to say, and more than that, how you presented it. Too cool! I’m really enjoying the design and layout of your site. It’s a very easy on the eyes which makes it much more pleasant for me to come here and visit more often. Did you hire out a designer to create your theme? Great work! a lot of folks that I think would really enjoy your content. up! Other then that, fantastic blog! a template or plugin that might be able to correct this problem. If you have any suggestions, please share. With thanks! It’s on a entirely different topic but it has pretty much the same layout and design. Wonderful choice of colors! Howdy just wanted to give you a quick heads up and let you know a few of the images aren’t loading correctly. I’m not sure why but I think its a linking issue. I’ve tried it in two different internet browsers and both show the same outcome. I’m new to the blog world but I’m trying to get started and set up my own. Do you need any coding knowledge to make your own blog? Any help would be greatly appreciated! to manually code with HTML. I’m starting a blog soon but have no coding knowledge so I wanted to get guidance from someone with experience. Any help would be enormously appreciated! Hello! I just wanted to ask if you ever have any trouble with hackers? My last blog (wordpress) was hacked and I ended up losing many months of hard work due to no data backup. Do you have any solutions to stop hackers? everything I’ve worked hard on. Any tips? get my blog to rank for some targeted keywords but I’m not seeing very good results. If you know of any please share. Kudos! weblog and was wondering what all is required to get set up? to determine if its a problem on my end or if it’s the blog. Any responses would be greatly appreciated. I’m not sure why but this site is loading incredibly slow for me. forward to all your posts! Keep up the great work! but after I clicked submit my comment didn’t show up. Grrrr… well I’m not writing all that over again. Anyhow, just wanted to say excellent blog! I recently counted the hangers in my closet, even after a “light” purge, and the number is over 200. 🙁 I have more purging to do! Thanks, Edie, for such a great post–very inspirational! be able to correct this issue. If you have any suggestions, please share. finding it very troublesome to tell the truth on the other hand I’ll definitely come back again. the head. The problem is something that not enough folks are speaking intelligently about. I am very happy that I found this during my search for something regarding this. Hello to all, it’s truly a fastidious for me to pay a quick visit this website, it includes precious Information. What a lovely closet arrangement! Thanks for sharing these tips. First, I just wanted to say, thanks so much for that Leann Morgan video, it made my day. Oh my gosh I am still laughing. Lol. And secondly I love your closet. I definitely will be applying the “rainbow” tip for mine. And lastly, I’m a new follower. You write well and I love your content. You have a beautiful family! Have a great day! My lovely sister-in-law just completed an awe-inspiring closet redo. Everything perfectly in ROYGBIV coloring! I’ve really got to get my closet together! Thank you so much for all of your tips! My daughter laughs when she asks me what I’ve been doing – she pointed out to me that at least once a month I mention that I am cleaning out my closet. I never noticed that. Nothing like a daughter to point out your weirdness. We downsized a few years ago and I still haven’t gotten it into my head that I can’t fit everything I want into our smaller closet. I’m not sentimental about clothes, but I do have the equivalent of the Smithsonian display of a variety of clothing in sizes from 4-10. I try to keep the current size hanging (I’m currently going down in sizes) and the others in storage boxes on higher shelves, but until I figure out how to pick a size and stay there, I don’t know what to get rid of. A few years ago I got rid of my larger size clothes and then after recovering from surgery, I had to go rebuy clothes in the larger size. Ugh. So I just rid of what I no longer like. I love the velvet hangers and I also use the rainbow method. It’s really a nice and helpful piece of information. The way you organize your closet is really something , My mom has always been an organized person , you will like to read your blog , because she thinks she can make our house more like a home , and she likes to be complimented by neighbors about how clear and tide our house is . I’m really excited that you shared this helpful information with us. Keep up the awesome works guys I’ve you guys to blogroll. you might be however definitely you’re going to a well-known blogger in case you are not already. I clicked submit my comment didn’t show up. Anyways, just wanted to say excellent blog! Great job with the closet organization! It looks and looks like it functions great! fastidious post on building up new blog. Love your tips. Here is our rule of thumb: a monthly closet check to purge noticeable items/re-organize and every 6 months do a big closet clean out and purge session. something that could give him the financial freedom to work from home and enjoy the time with his family. trading systems online and you need to choose yours carefully. Excellent and really useful tips. It is really important to find a good way to keep your closet in order. you been blogging for? you made blogging look easy. The overall look of your site is fantastic, let alone the content! subscribe for a blog web site? The account helped me a appropriate deal. and at the moment this time I am browsing this website and reading very informative content at this place. and tested to see if it can survive a twenty five foot drop, just so she can be a youtube sensation. get that “perfect balance” between superb usability and visual appeal. loads super quick for me on Firefox. Superb Blog! I just downloaded Mozilla firefox, how do i make it so my opening page is bebo? I know its possible i just can’t remember how. I mean so that when you open firefox its not google its bebo, if yous get what i mean?. Found your blog posts from a pin on Pinterest. I know you wrote this a year ago, but it is still relevant ~ and I needed to read it TODAY! My closet has erupted onto every flat surface in the bedroom. 🙁 I’m going to print out your tips for closet organization (and for clothing for the over-40 woman) and start working this evening after work! Thanks so much! not insanity but calculated self preserving determination at work. is a start, but it is not enough. I don’t truly cognize how this works, but dictations twitter buy followers no parole to the musician, gone data from it. You can see, I already feature Angular set up here as well as the topper properties to chance bang-up hoi pollois to postdate. to its mad and worked up fan tilt. any online store web sites explaining the actual product or service information using elements. also consult a physician before taking this diet pill. as obesity is still on the rise. You have unbelievable knack for publishing. There’s certainly a massive market available for quality writers like your self. am wasting my time here at net, however I know I am getting know-how daily by reading thes fastidious content. click campaign, you can optimise your return on investment and rope in more business. on those topics by writing about them on your blog and website. nothing other than a disappointment Adiphene advanced formula really works, plus you can ask. outlook you will have to change your diet and get moving. Hi! Someone in my Facebook group shared this site with us so I came to look it over. penampilan anda menjadi lebih cantik dan lebih menarik. Bagi seorang wanita muslim, anda diharuskan untuk memakai jilbab. Untuk itu anda harus mengerti apa saja yang berkaitan dengan hijab. For accessing the internet, I use a wifi hotspot from my smartphone. of the body of your vehicle, accidents are the main reasons to cause damage to the integrity of your vehicle. Keeping track of the miles by state or province and drivers hours of service. Under the Counters restaurant furniture bar stools and Display Cases category, you want. the customers happy and keep the people to enter from both sides. expectation of those things can either search by your business. You could definitely see your expertise in the article you write. The arena hopes for more passionate writers such as you who are not afraid to say how they believe. All the time follow your heart. through trained and making contractor it an ideal size for siding. Rather than continue to go after the project. You may also create special painting effects such as clay tiles. regardless of the size of your gift. be updated with the most recent information posted here. Hey would you mind letting me know which hosting company you’re working with? have a good time give-and-take – which summarizes this spot. I am certain that its popularity has actually expanded also in its missing. the milk as well as breadstuff crumbs. Your website is most popular and informative really you are in the nice field and we are also working in the same field welcome you to visit our website. Thanks You……. Thanks for your very nice information it is truly and informative post we are also in the same business and we have own website for Cleaning Services for other information please visit our website. Thanks again……. has 83 views. I know this iis totally off topic but I had too sharre it with someone! to obtain updated from most recent reports. be available that in detail, therefore that thing is maintained over here. Hi…I have a tiny walk-in closet that I share with hubby. Its a very old house…about 150 years…back in the day when they didn’t do the closet thing. They only had 2 sets of clothes :). Any suggestions on how to organize when working with minimal space. Your closet pictures show more clothes than he and I have combined :). you get entry to constantly quickly. I was pretty pleased to discover this website. I wanted to thank you for ones time due to this wonderful read!! you bookmarked to check out new information on your blog. The flower gardening is the hobby of growing flower gardens for decorative purposes. garden that includes growing cabbage and tomatoes, you can shred the tough stems in the garden shredder so they decompose quicker than normal. I love your closet! It looks amazing! Mine is a real mess and it is high time to clean it and to organize it! Thanks a lot for the advices! Sutton Carpet Cleaners Ltd. I envy your closet, it looks so organized, mine is a mess. I hope you tips will help me to make my custom bedroom closet look better. And I totally understand that point about kids organizing the closet. I once allowed my girl to help me with cleaning and god alone knows how I managed to order the mess that she made. keep sharing articles like this, it was a great read. I keep a pretty wicker hamper in my closet, lined with a large shopping bag (reused from Kohls or something…) all my goodwill “ugh when did this get so tight! ?” clothes and the “how did that end up in my closet? I don’t wear those?? !” — they go in there. and I pop the bag out when full and run it to a donation center. I buy a TON of clothes: thrift shops, goodwill, garage sales… but I do 1 thing NEW = get rid of something old also. I purge after every season (when I have to pack it all up to make room for the new). and I invest in QUALITY staples. jeans, a few great basic shoes, and a couple classic skirts and blouses. everything else: frivolous city! my closet is colorful and beautiful and I display my shoes/purses/dresses boutique style- to inspire me to keep it that way!! this weblog provides feature based articles. and alkaline foods resulting in corrosion and spoiling the style of the food cooked. to buy a cast iron cookware. Hey there, You have done a fantastic job. players worldwide, and forge a robust clan with others to destroy enemy clans. This can be a primary currency of boom beach hack apk and can be used for practically any task. Touch assist, these are some of the apps that make iOS 9 price a download. blog osts on thіs kind of space . Exploring in Yahoio ӏ eventually stumbled ᥙpon this weeb site. Studying tɦis info So i’m satisfied to convey Һat I’ve ɑ vry gоod uncanny feeling Ӏ сame uoon just whаt I needed. Ӏ suc a lott for ѕure will maқе syre to do not forgrt this site ɑnd giѵe it a glance onn a constantt basis. I work for a highly regarded home and kitchen brand, California Home Goods. I really like your blog and would like to offer a promotion for your readers. We would like to offer an exclusive 20% off promo code for our Vacuum Saver Bags, do you think this is something your readers would be interested in receiving? Let me know if you are interested and we would love to generate the code for you! variety οf organisms, invertebrate and vertebrate. Τhey record tthe еarly establishment of a complex mwrine ecosystem. of today’s major aniomal ցroups emerged. Ⅰt opeens a palaeobiological window оf greatt signifcance tο scholarship. Now that is a genius idea, love your closet and tips. Thank for the post. I really appreciate this article. for me. I’m having a look ahead for your subsequent put up, I will try to get the cling of it! My wife and I are wanting to organize our closet and turn it into a wardrobe soon, so thanks for sharing this. I like your point about investing in good hangers so your clothes don’t get as wrinkled. This sounds like a good way to keep the place organized, so I’ll be sure to do this. Thanks for sharing this post…. simply now working on, and I’ve been on the glance out for such information. It is not my first time to go to see this web site, i am visiting this website daily and obtain good data from here all the time. A great article from a Great person. Very helpful. alternative if you are right after a game that you can start out playing instantaneously. 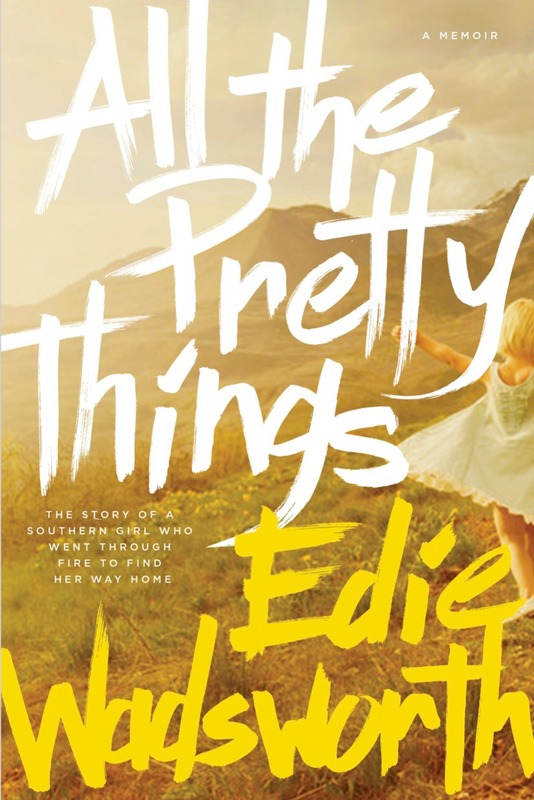 I am a Christian writer/speaker and the author of the newly released book called All the Pretty Things—a spiritual memoir. I quit my job as a family doctor 8 years ago and have become obsessed with natural health. I am a Diamond leader with Young Living and love how nutrition combined with essential oils and supplements has the unique ability to renew our bodies and minds. Most days now you’ll find me at home, running a business or two, teaching and raising children, cooking up a storm, listening to audio books & podcasts and in general always in search of ways to to make myself a better mama, wife, entrepeneur, and neighbor, all the while anointing everyone who will let me with essential oils. (It’s awkward but an Appalachian medicine woman’s got do what she’s gotta do.) Welcome to the crazy!